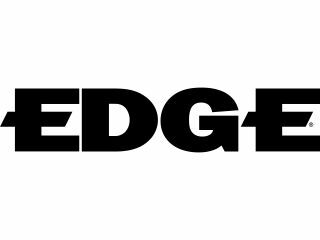 Future Publishing's flagship gaming magazine, Edge has unveiled its new site, Edge Online, featuring quality editorial content from leading industry journalists and execs on both sides of the Atlantic. The site is designed in the UK and has been launched in time for this year's E3. Edge-Online.com is "the de facto destination and source of global videogame news and information," designed to complement the content in Edge's monthly magazine. In addition to breaking industry news, detailed research and senior game industry analysis. Edge-Online.com is also set to feature first-person commentary from senior game industry figures. Microsoft's Shane Kim, EA's CEO John Riccitello and THQ CEO Brian Farrell have already contributed to the new site, which gives a very good indication of the level of industry support. Publishing Director of Edge, James Binns adds, "We are thrilled that Edge now has an online home that reflects our quality, vision and voice. Edge has gained unprecedented access, a team of dedicated, smart journalists and a high level of trade and consumer respect. We're ready for our next evolution." Edge Online has replaced Next Gen Online, which in a very short space of time (since 2005) has grown into the market-leading game business website. Finally, if you fancy winning one of 150 three-month subscriptions to Edge magazine head over to Edge Online right now!